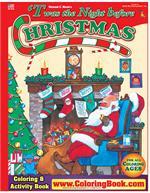 This book is a "must have" for children and parents to learn more about Twas the Night before Christmas by Clement C. Moore. Notebook style book with a colorful plastic spiral binding. 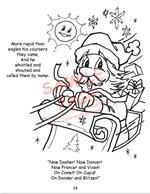 At least 24 pages in every Power Panel Coloring Book, hours of coloring fun with games, puzzles, mazes and connect the dots, word search and a heavy chip board backing. This is a perfect 'Travel Size' coloring book on a plane, train or in an automobile. These fun books are 8.5" x 11" with a high quality full color card stock cover. Each inside page is a high bright white paper that children can use crayons, colored pencils, magic markers and even water colors on! The pages are perforated and the chip board back of the book can be used as an easel! (32 pages) 'Twas the Night Before Christmas is the traditional poem of ...'Twas the Night Before Christmas and all through the house, not a creature was stirring not even a mouse...Super-Fantastic-artwork, with sugar plums dancing on the pages! 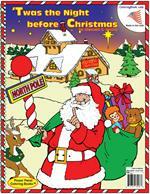 A wonderful book that introduces children to the poem Twas the Night before Christmas! 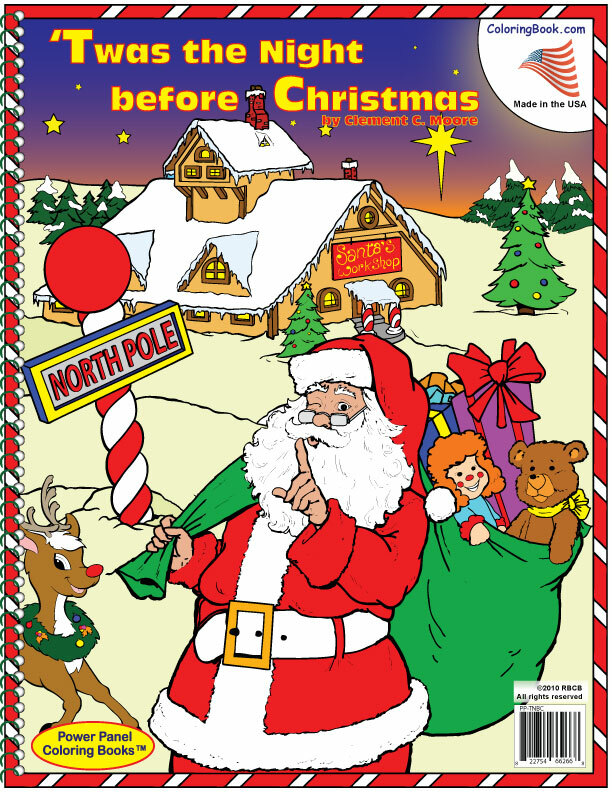 A favorite in day care centers, early childhood education centers This is a perfect 'Travel Size' coloring book on a plane, train or in an automobile. (24 pages) This book is a "must have" for children and parents to learn more about Twas the Night before Christmas by Clement C. Moore.